Not only does Alteryx Server provide self-service data analytics, it’s IT friendly too. With 24x7 dependability and advanced administration options, you can avoid costly business interruptions and potential security issues. It’s the fastest and easiest way to deploy data intensive analytics across your enterprise with effective and secure collaboration across teams. 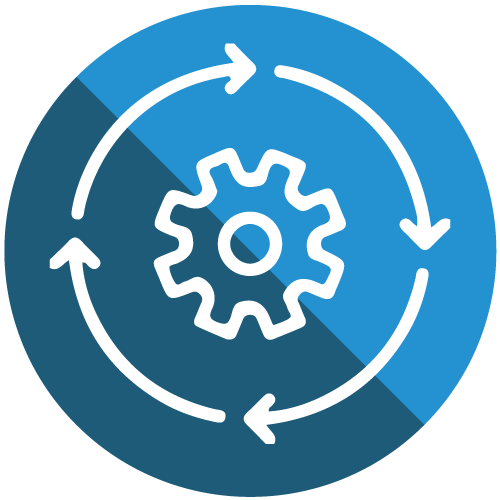 And with built in APIs and macros, you can integrate Alteryx processes directly into other internal and external applications easily for additional extensibility. Whether you are building out an enterprise analytic practice for 10 users or 10,000 users, Alteryx Server provides a flexible server architecture that can be deployed on-premise or in the cloud so you can easily scale up or scale out as your business needs. 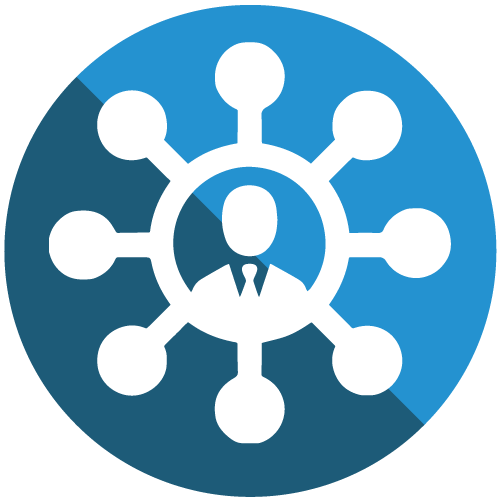 Utilize built in scheduling and automation capabilities to schedule and run analytic workflows as needed, to generate reports and refresh data sets on a centralized server so everyone can access the data anytime, anywhere. Don’t let those large jobs hold your desktop hostage. 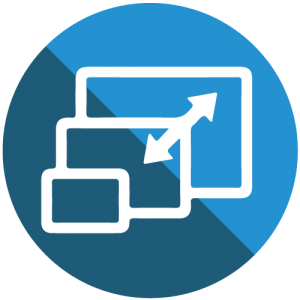 Move your organization’s analytic processes to a fault tolerant and secure Alteryx Server that can run workflows simultaneously and more efficiently than a desktop. With Alteryx Server, analysts can store, share and publish analytic workflows and applications across your organization in a central and secure private studio, empowering your business to get the data they need, when they need it. 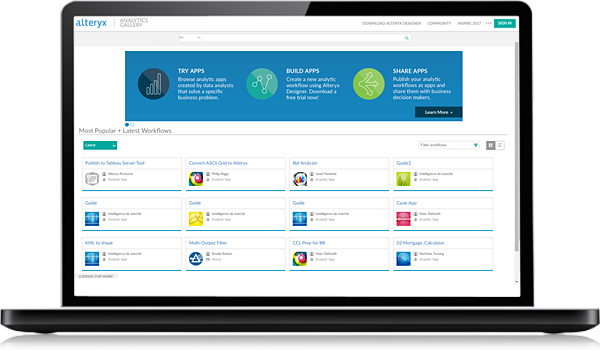 Build your own runtime-driven tools using the Alteryx API and the Software Developer’s Kit to embed processes into other internal applications and expose these tools to other business analysts across your enterprise. 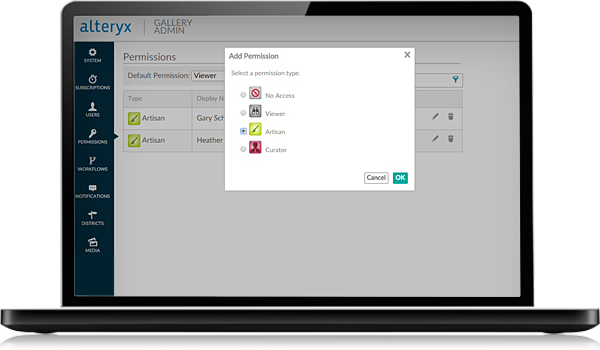 Save workflows in a centralized repository to enable effective and secure collaboration. 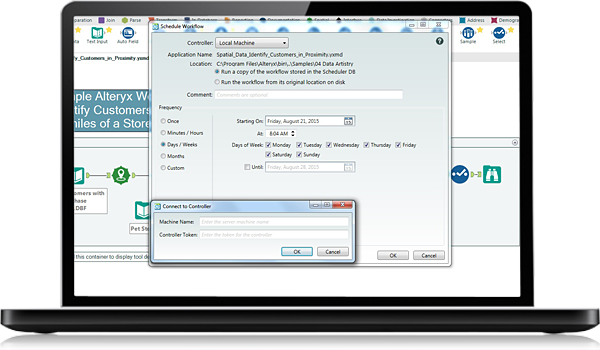 And with built-in version control capabilities you can track and roll back changes as needed. With built-in, automatic recovery capabilities, you never have to worry about downtime, and have the confidence knowing IT can make software updates and perform backups as needed. By storing your analytic applications in a central, secure location, authors and administrators can ensure analytic governance by restricting end user access to the right data using corporate authentication, permission and encryption protocols.